Have you ever wondered what acceleration is required for a skater to experience zero gravity? Have you ever wondered what a skater’s velocity and acceleration must be to generate an inverted carve-turn 17′ inside Houston’s large cradle, aka Skate-Lab? What is the acceleration and velocity a smaller skater (75 lbs) must produce to invert a 15′ carve-turn vs. a skater twice his size? Dr. Adrian Lenardic is not just a physicist he is also an avid Jamail Park skateboarder. Adrian, http://terra.rice.edu/department/faculty/adrian.html , will be attempting to answer some of these skater-physics questions and much more. 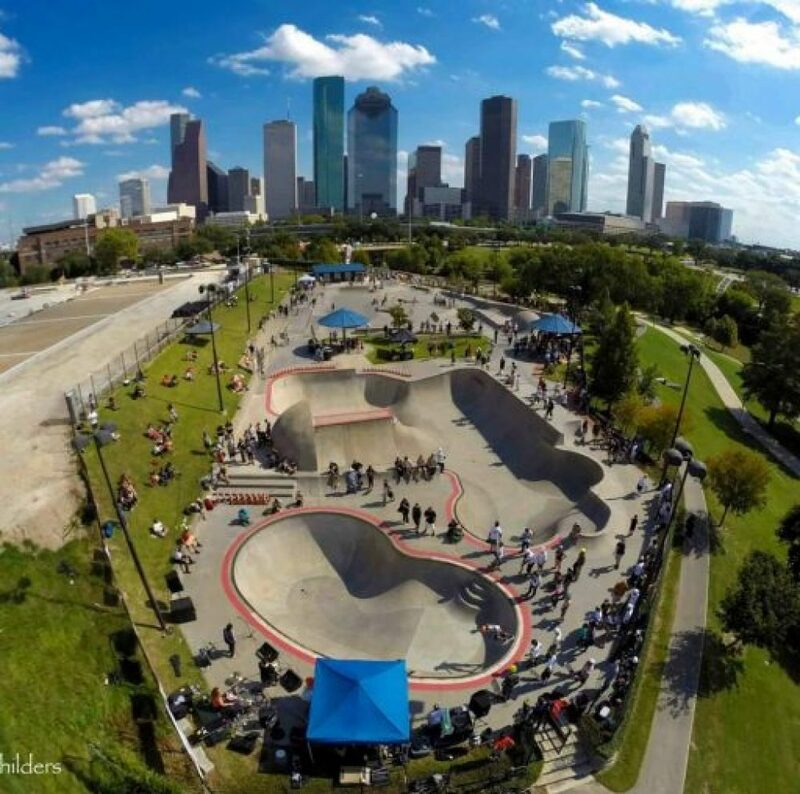 He will be conducting much of his research in Houston’s very own Skate-Lab (world’s largest skatepark cradle (22′ Apex) structure). Come out and watch the skaters push the gravity envelope all the while Dr. Lenardic’s technology will be documenting this one-of-kind skater-physics research. The experiments/research will be held in Lee’s Bowl throughout the day. Truly amazing my friend -A- is the coolest Physics guy ever.